The Brocade Design Underbust Corset by Bonitaz is a front closure corset that cinches the waist and creates a curvy shape with an elegant brocade design. 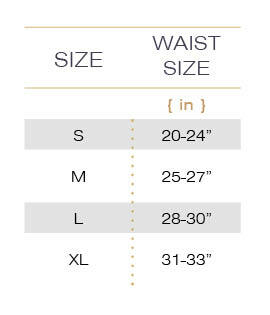 It's a shorter corset at 10.5 inches in length with the support of twelve flat steel bones for added posture support. It provides a classic wasp waist, reducing the natural waist by several inches and pushing up the chest.